PES launches the campaign “Your future is my future - A European Youth Guarantee now!” - - Your future is my future - a European Youth Guarantee now! 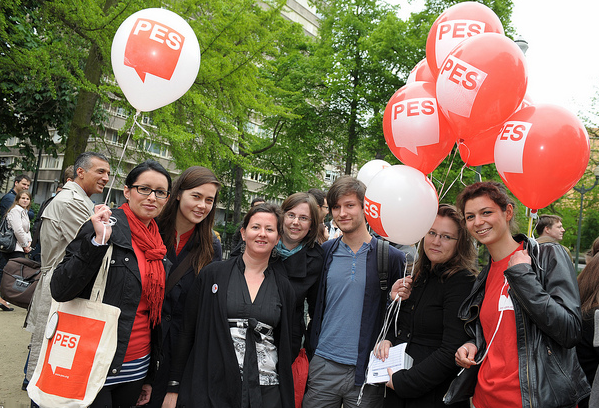 PES President Sergei Stanishev stated that: “There is a genuine crisis of youth unemployment across the EU. In some countries as many as 50% of young people cannot find a job. This situation is unsustainable. If we want to avoid a social catastrophe we must provide real solutions to the people”. Mr. Stanishev added that; “The PES campaign couldn’t come at a better time. The European Youth Guarantee is the right tool to start building the future of young Europeans today”. The guarantee ensures that every young person in Europe is offered a job, further education or a training place at the latest four months after leaving education or after becoming unemployed. PES Secretary General Philip Cordery stated that; “This Party of European Socialist proposal for a European Youth Guarantee is part of a genuine growth agenda for Europe. We in the PES understand that growth is based on investment not liberalization. Europe needs investment in projects, in our economy and in our young peoples’ future. That is the strength of the PES European youth guarantee”. This much-anticipated PES campaign, jointly run with ECOSY - European Young Socialists and PES Women, and with the support of the Socialists and Democrats (S&D Group) in the European Parliament, and the PES Group in the Committee of the Regions, is already strongly supported by Luxembourg, the United Kingdom and Romania, where major announcements have been made on implementing a youth guarantee at national level. The PES proposal has been inspired by successful examples in Austria and Finland – the Austrian youth unemployment rate being currently at an enviable 8,7%. President of PES Women, Zita Gurmai, stated that “A Youth Guarantee is also vital for the young women of Europe, as women have been hit hardest by the crisis. If we don't want to widen the gap between women and men on the labour market, we need to act now for young women and give them equal access to all fields of education and the labour market as well to facilities that allows them a better balance between private and professional life”. Hannes Swoboda, President of the Socialists and Democrats (S&D) Group in the European Parliament stated that; “All over Europe we have alarmingly high youth unemployment rates. We need to take joint action to fight this. 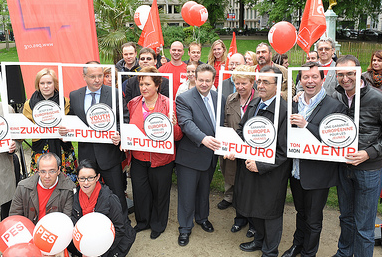 A European Youth Guarantee is the best way to show that “your future is my future”. S&D Spokesperson for Social Affairs, Alejandro Cercas MEP (Spain), attending the launch, said; “European youth risk becoming a generation of anti-Europeans if Europe doesn´t respond to the problems that the crisis have given to our youth. The most important step is that Europe tackles the problems that a generation is suffering from, a generation that has lost hope of finding a job. The situation won´t get better if we don’t change the way we make policy. A Youth Guarantee is a great step to make this change real”. 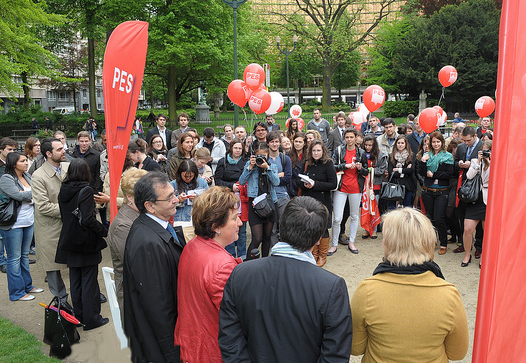 The launch of the campaign took place in an outdoor event at Square de Meeûs, close to the European Parliament in Brussels. PES President Sergei Stanishev was joined in the presentation by S&D Employment coordinator, Alejandro Cercas MEP (Spain), PES Women President Zita Gurmai MEP (Hungary), ECOSY leader Kaisa Penny (Finland), Belgian MEP Frédéric Daerden and Committee of the Regions representative Mia De Vits (Belgium).